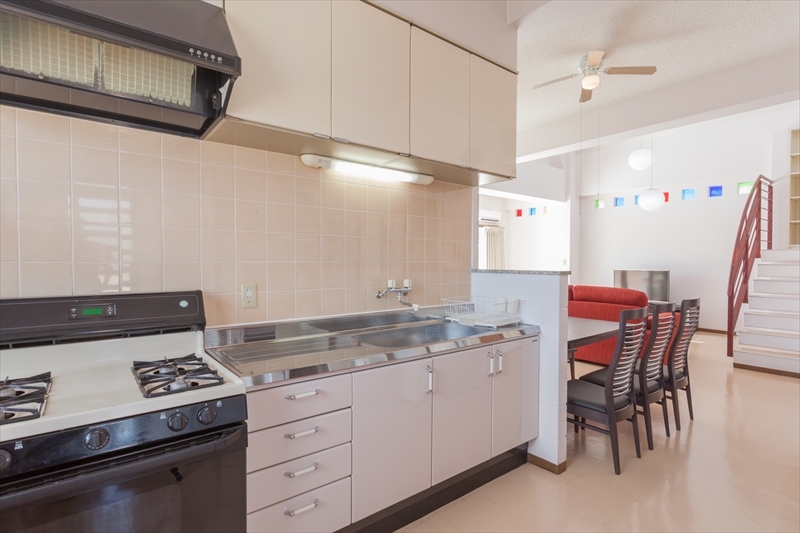 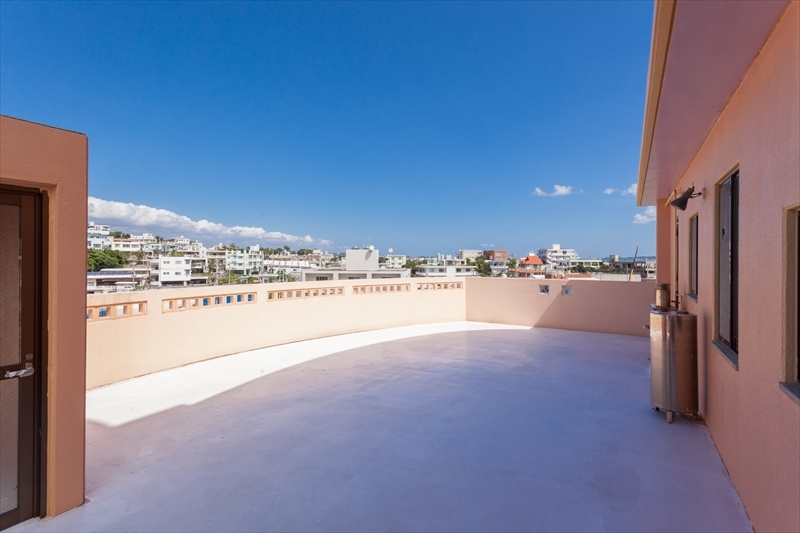 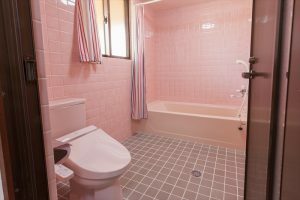 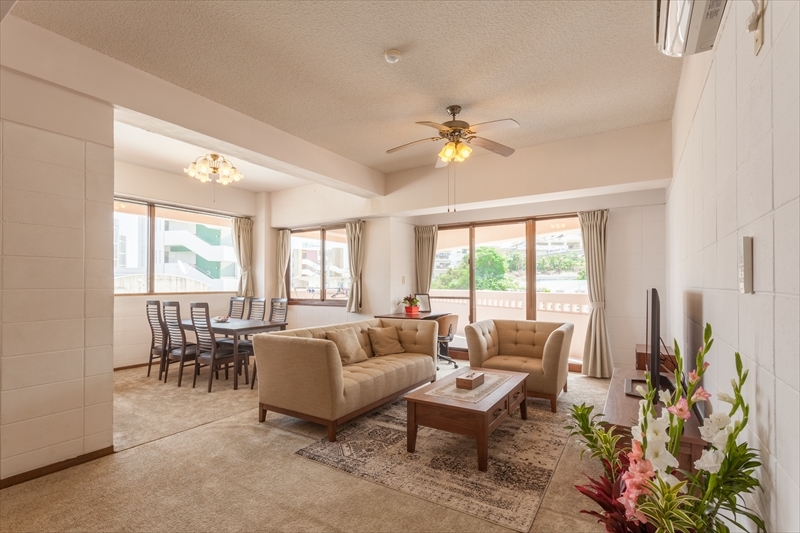 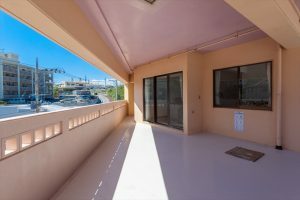 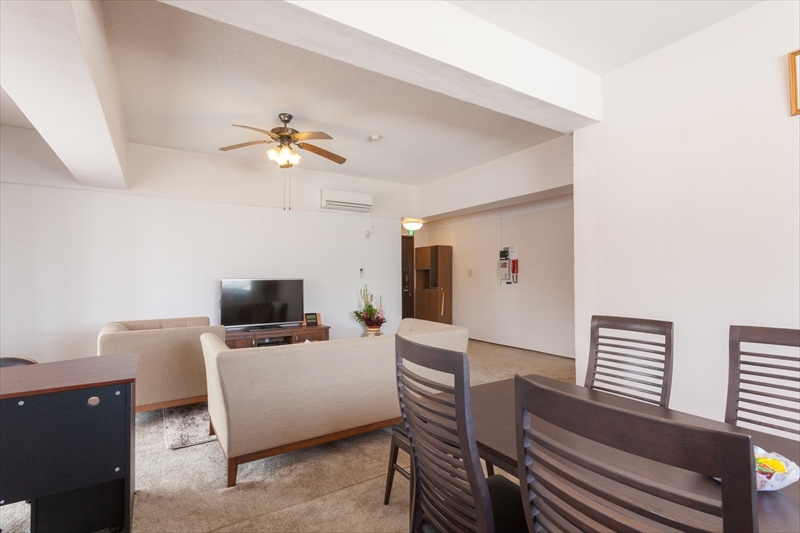 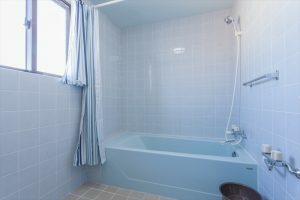 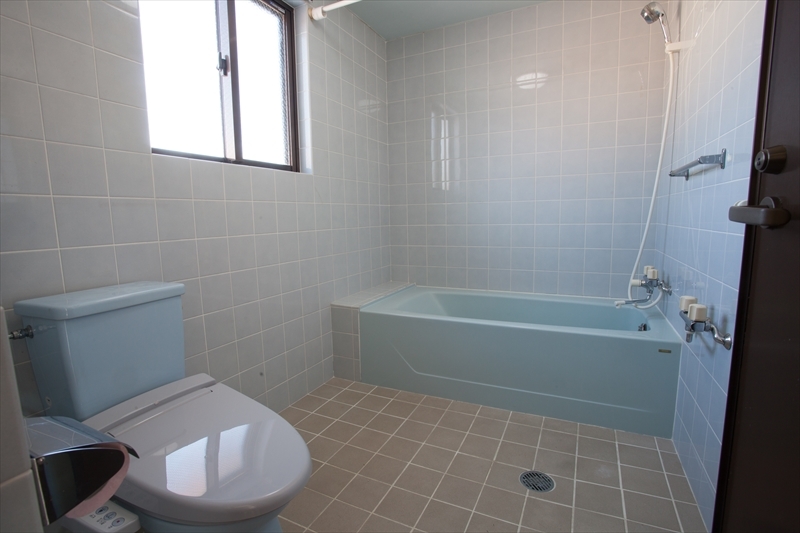 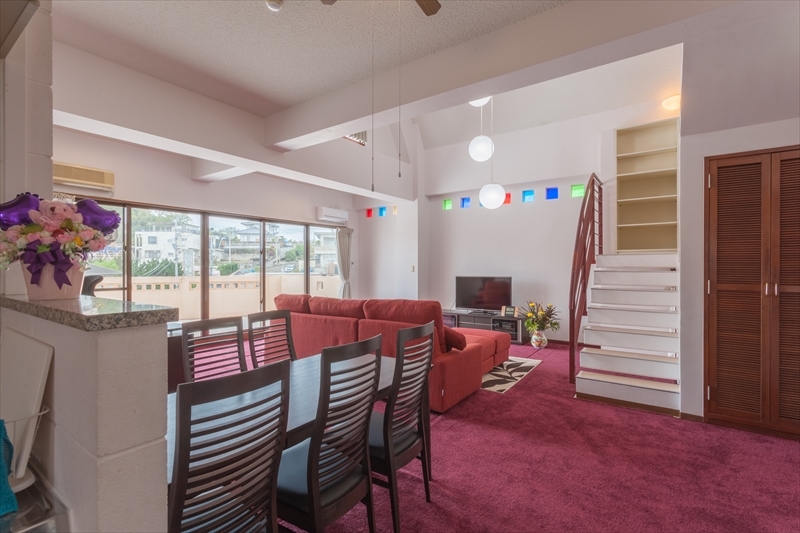 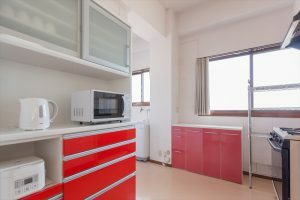 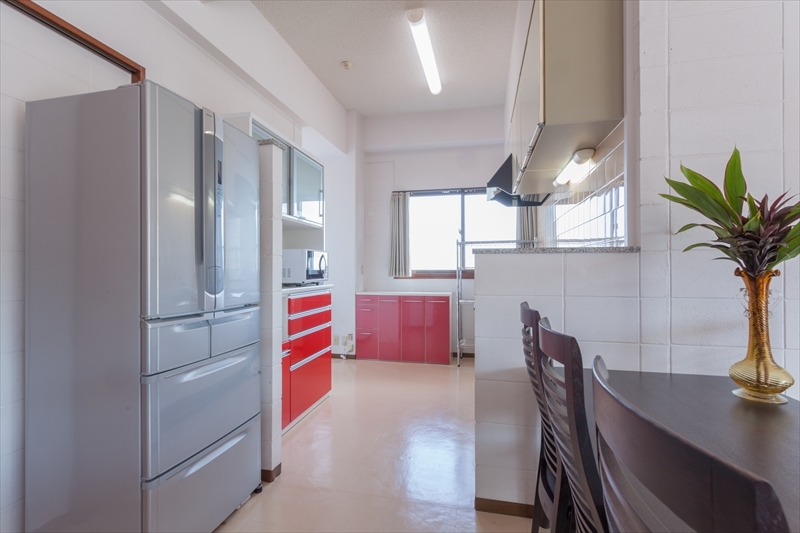 Located in Okinawa City, it is a fully American style condominium. 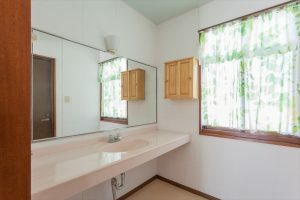 Flower farmer owner decorates all interior with local flowers he grow by him-self. 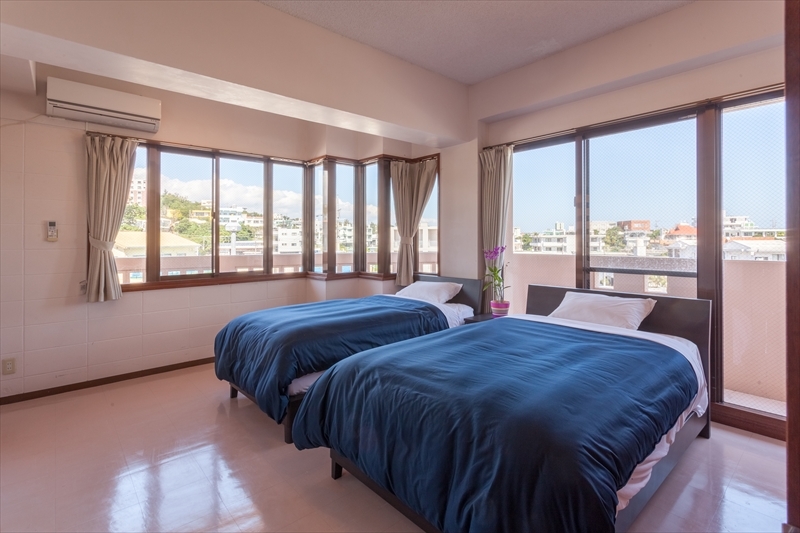 Okinawa city is famous for its iconic Eisa performance and traditional culture with in Okinawa prefecture. 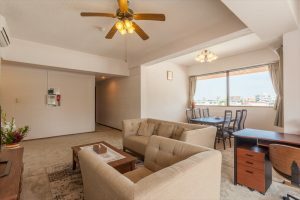 To get there from Naha, take the road 329 (which runs along north to south of the island) turn left at Hiyagon intersection and you will be right in front Mezon Max. 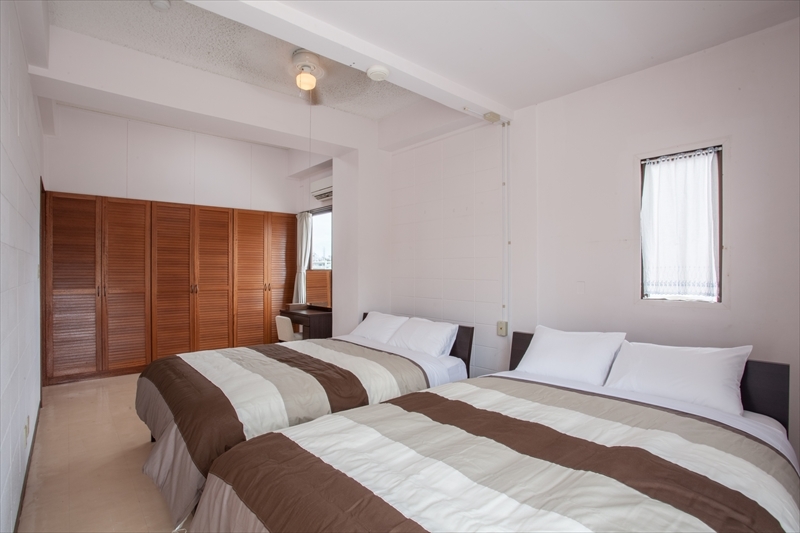 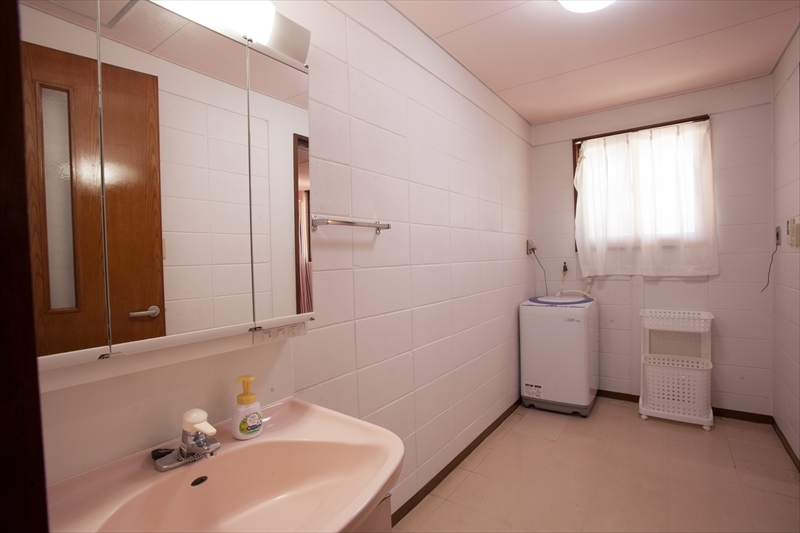 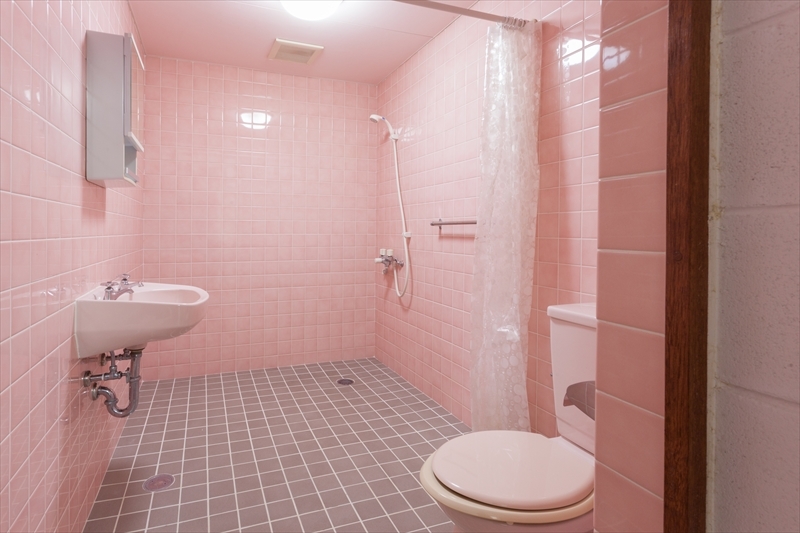 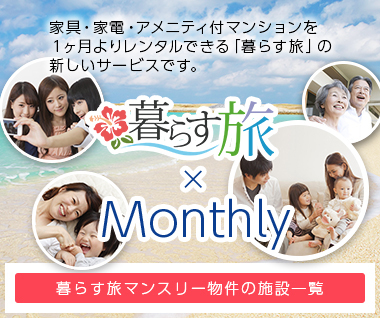 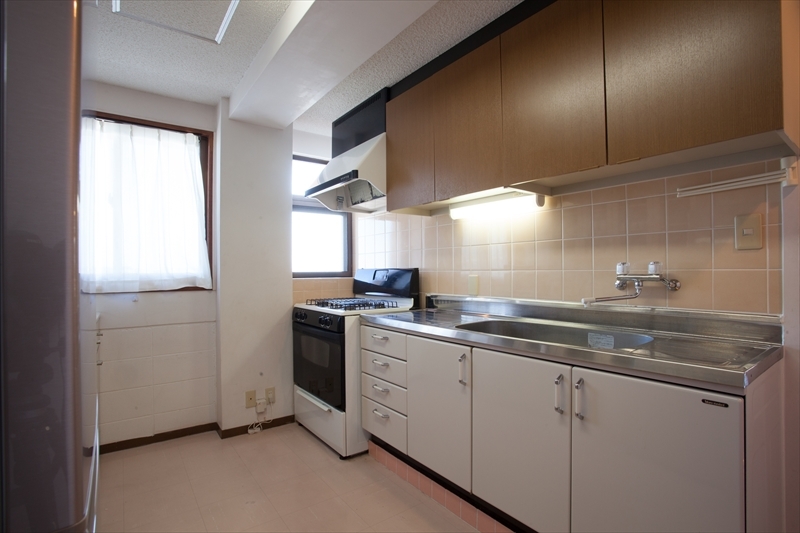 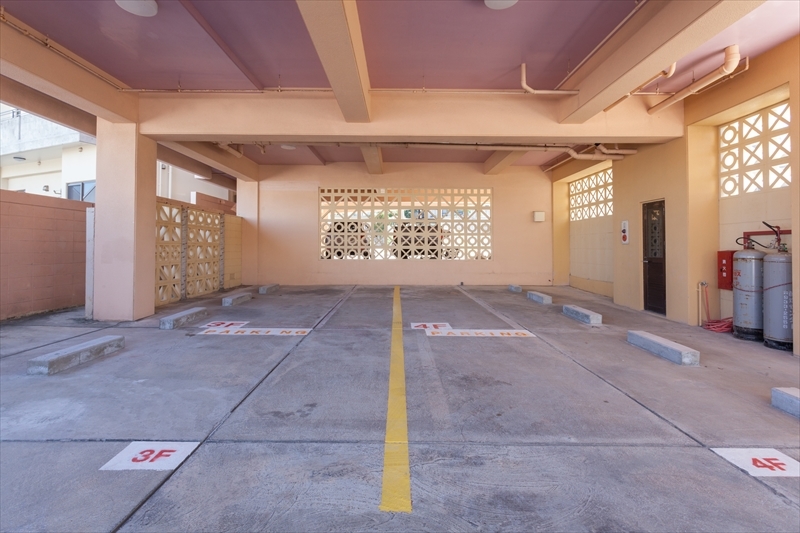 Its location near Awase town center offers very convenient access to it. 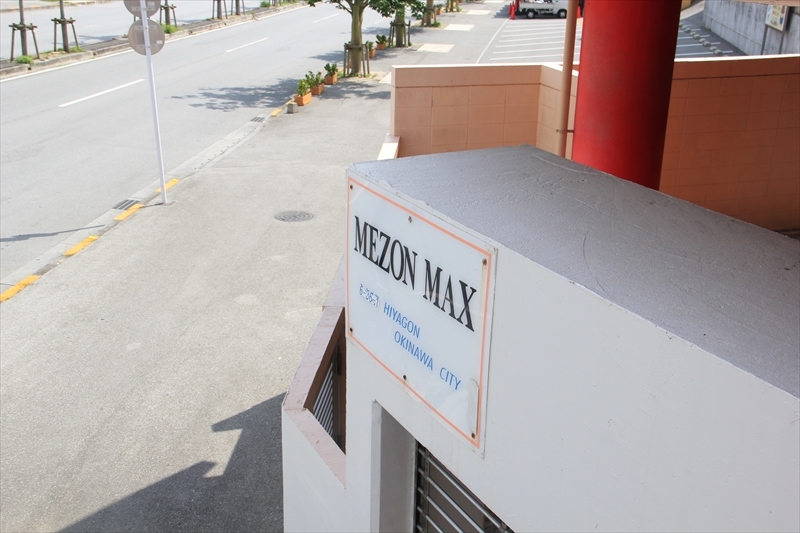 Easy 3 minutes’ drive on road 85 to newly opened Aeon Shopping Mall Rycom (with approximately 220 shops). 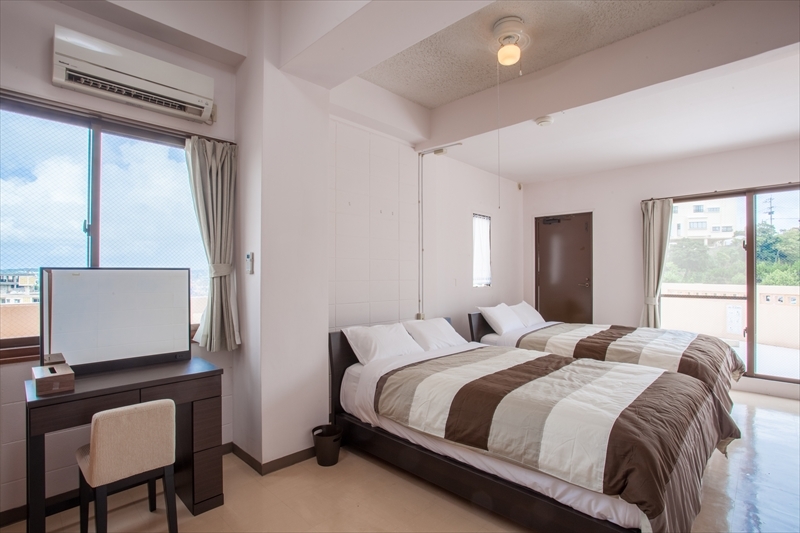 Also Its only 800 meters away from grand Prefectural Sport Complex (called Kokusou) which is built specially for National Sport Olympic of Kaihou Kokutai (huge national sport gathering held every year). 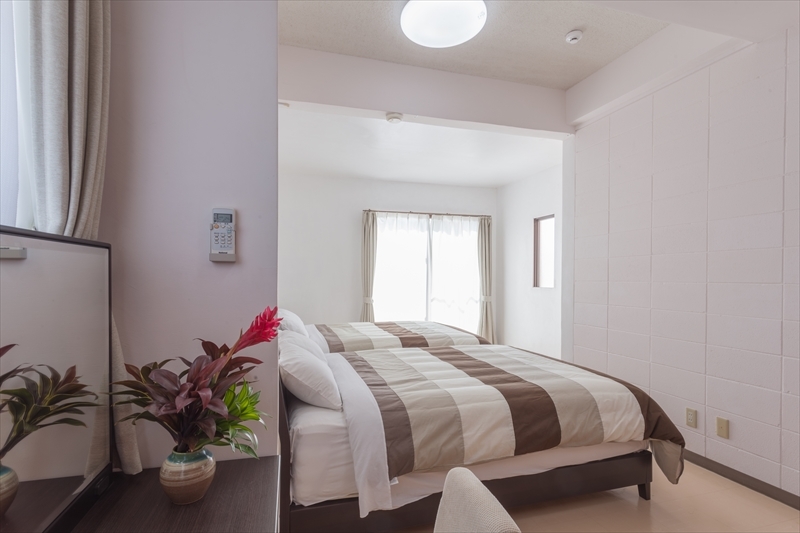 There is 3 to 5 Km long walking course, blessed by surrounding natural beauty, which make it a wonderful place for morning walk or jogging. Long water slide with 11m height and 100m length and 2 swimming pools are just some of numerous physical health and sports facilities gathered in this sports complex. 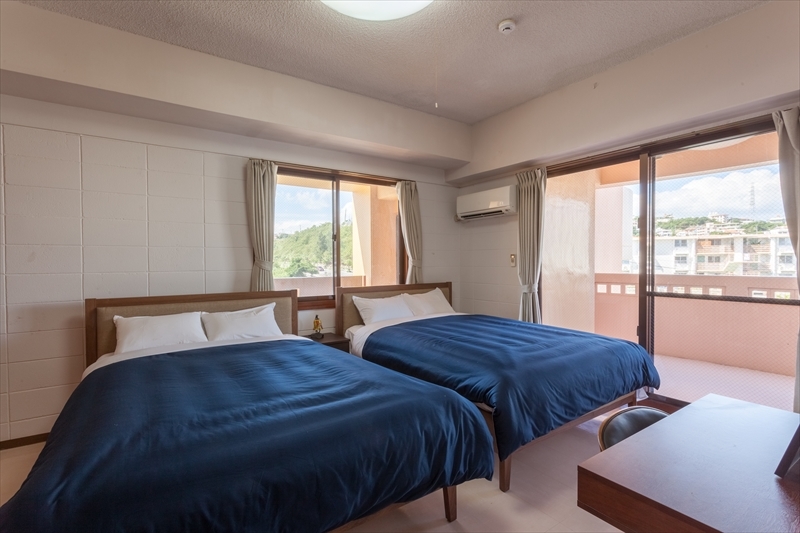 Several sports events are held here each year and close distance of Mezon Max to this facility makes it ideal place to stay when you join those sport events. 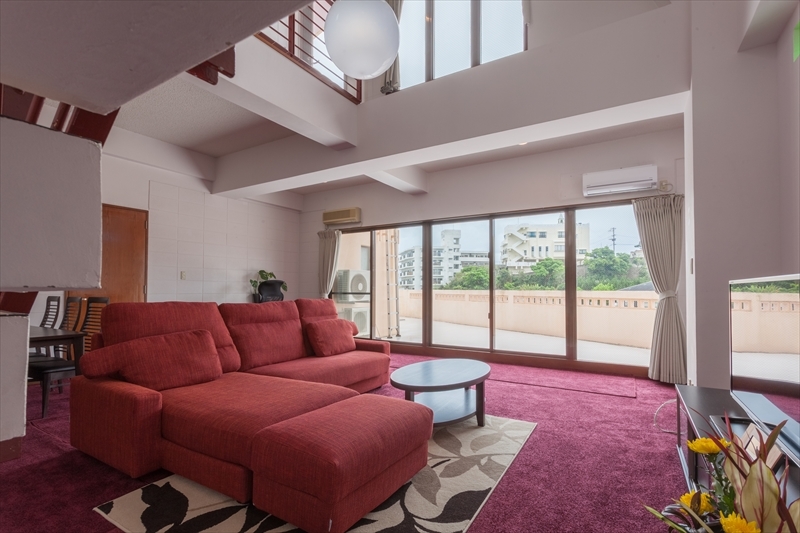 To surrounding area: its only 5 minutes’ drive to Awase town center and 10 minutes’ drive to down town Okinawa City. To main hot spots of island: it is 12 minutes’ drive to Okinawa IT park, 20 minutes’ drive to American Village (amusement town) and 25 minutes’ drive taking highway to Naha city. 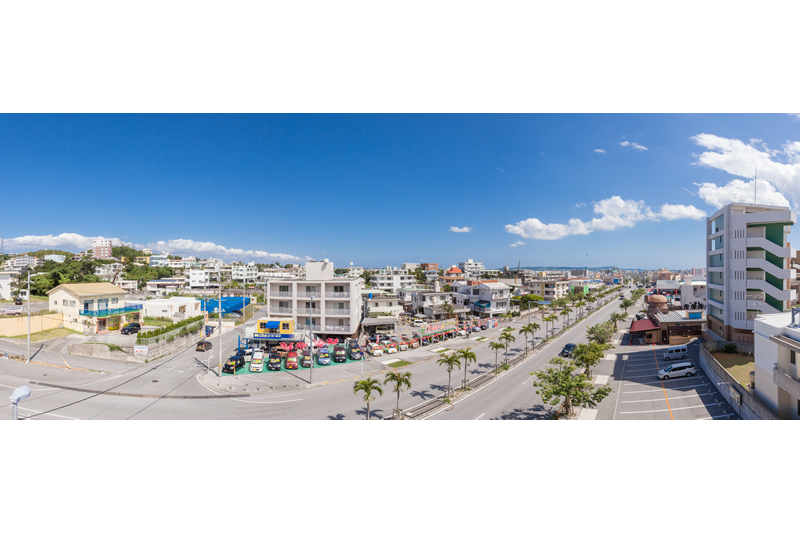 To get around the island: It is located just by the rout 329 which stretches from south to north of the island. 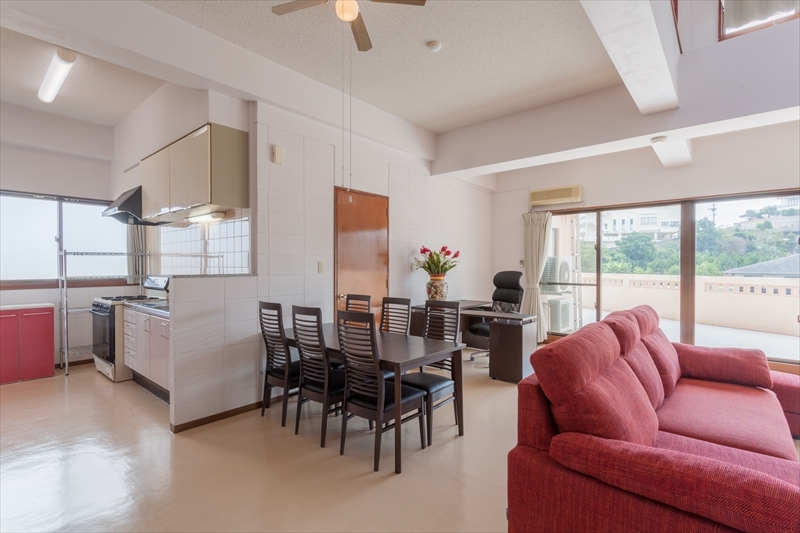 Also rout 85 to get to western shores to Aeon Mall Rycom, Chatan or American village. 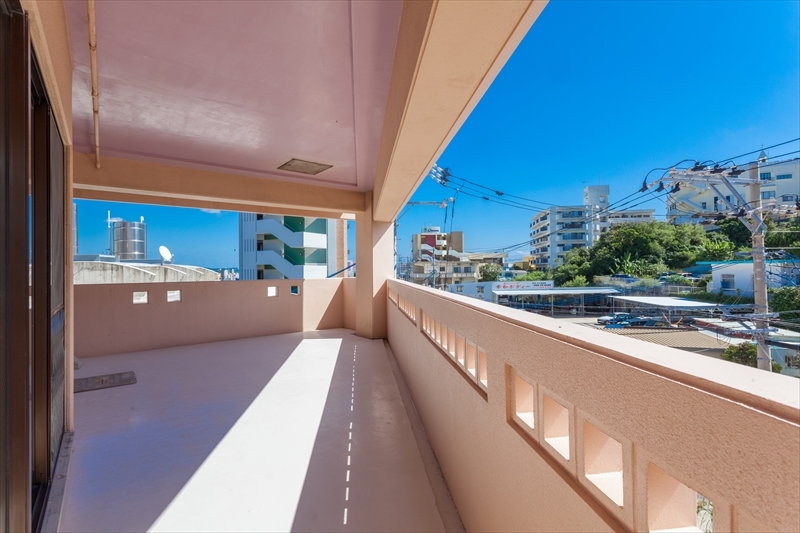 Awase town has lot to offer, some like regional cuisine and taverns, steak shops and various eateries, manga café and internet cafes. 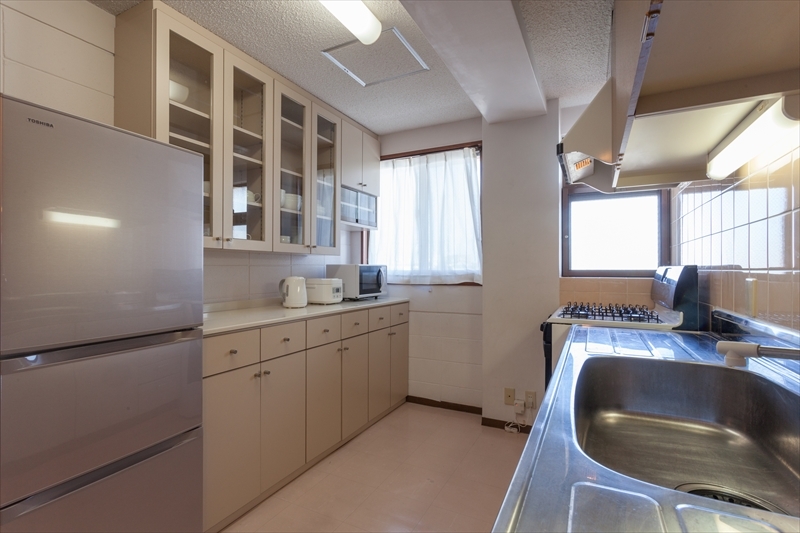 Closest eatery is Cafe & Restaurant Primo Kitchen next door, which is open until 23:00. 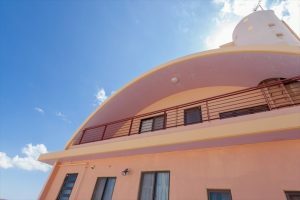 Buildings` round shape and 4 story American size is a unique exterior and make it super easy to find. 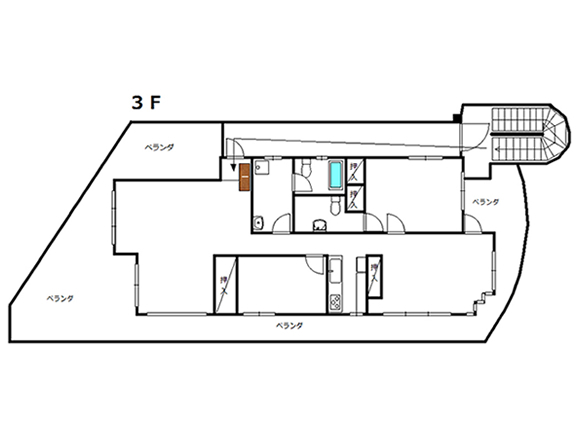 1st floor is garage with capacity of 2 cars each. 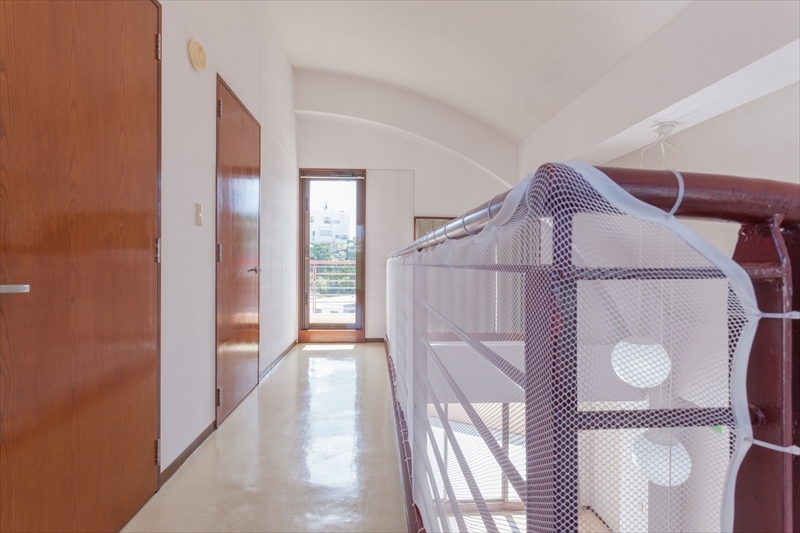 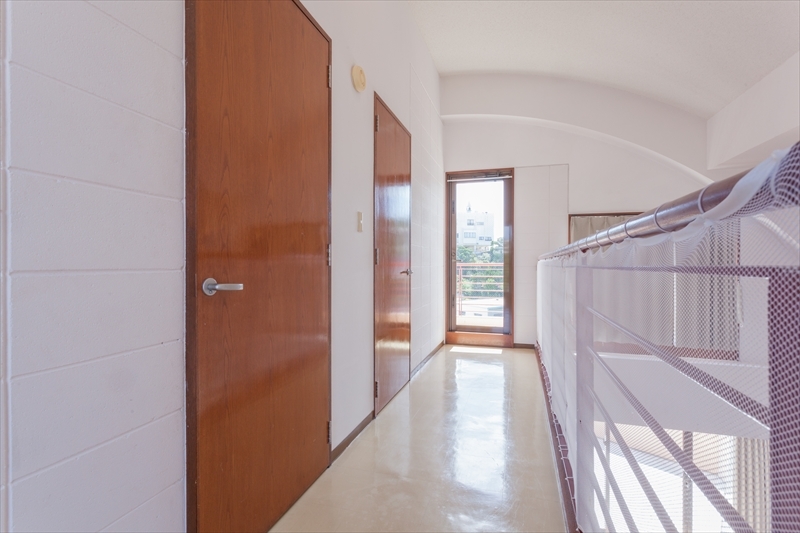 3rd and 4th floors (separate entry) are facilities on rent as condominium which in total can accommodate 10 persons at once. 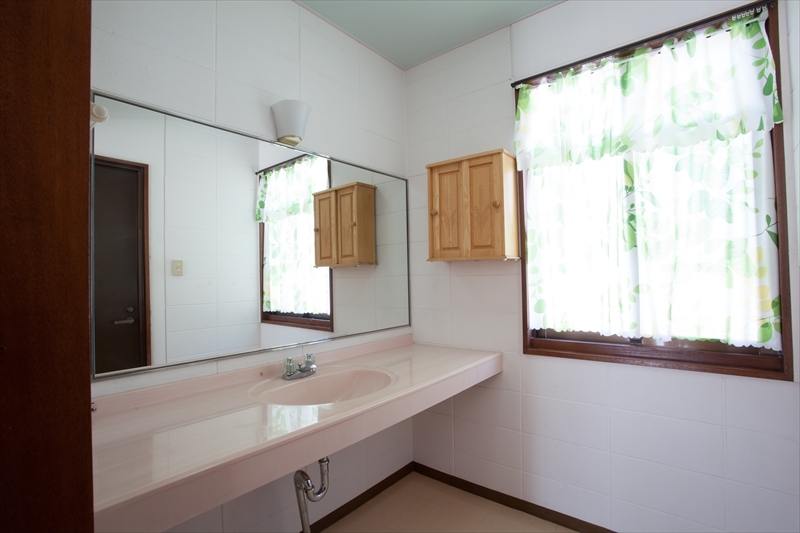 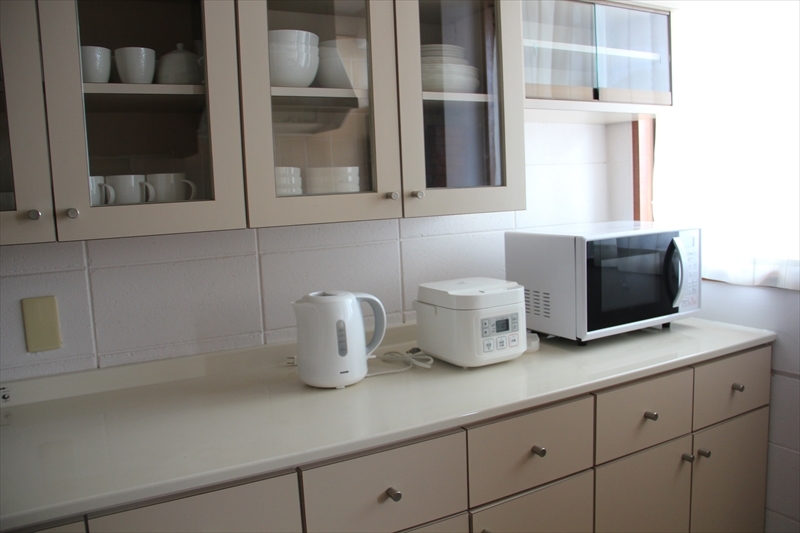 Free Wi-Fi, American style kitchen, bathroom and work desk in each facility are making it ideal holiday house. 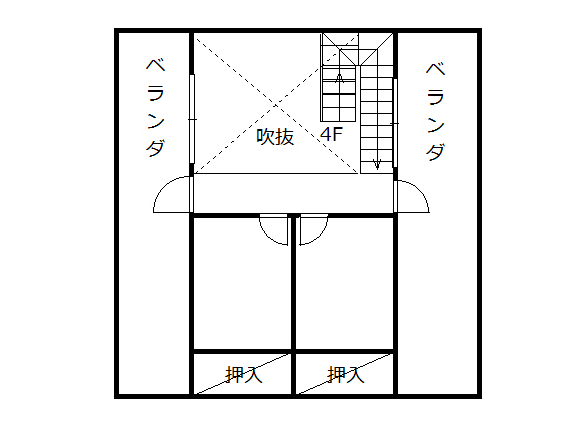 3F 103.88 sq. 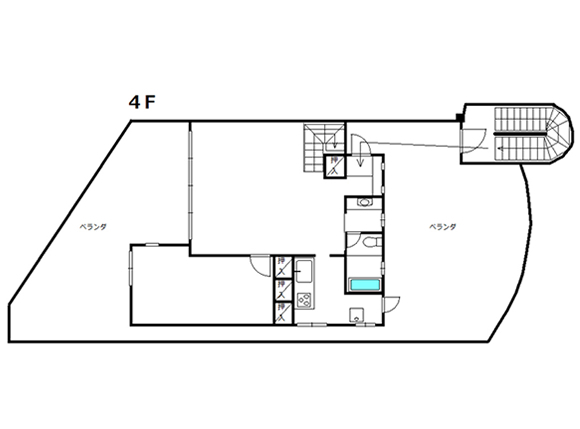 m It’s a 30 feet wide American style apartment. 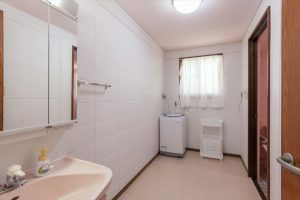 4F 110.02 sq. 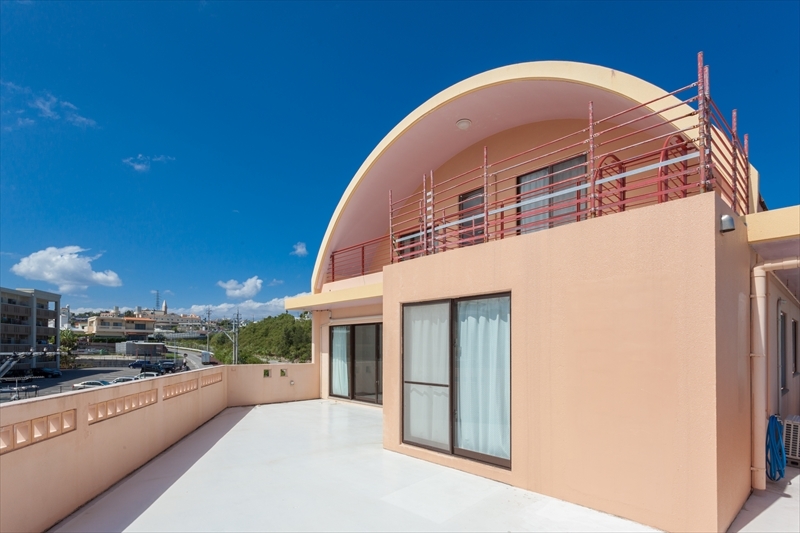 m With its round shape and American maisonette style, real meaning of Maximum can be felt in this splendid accommodation. 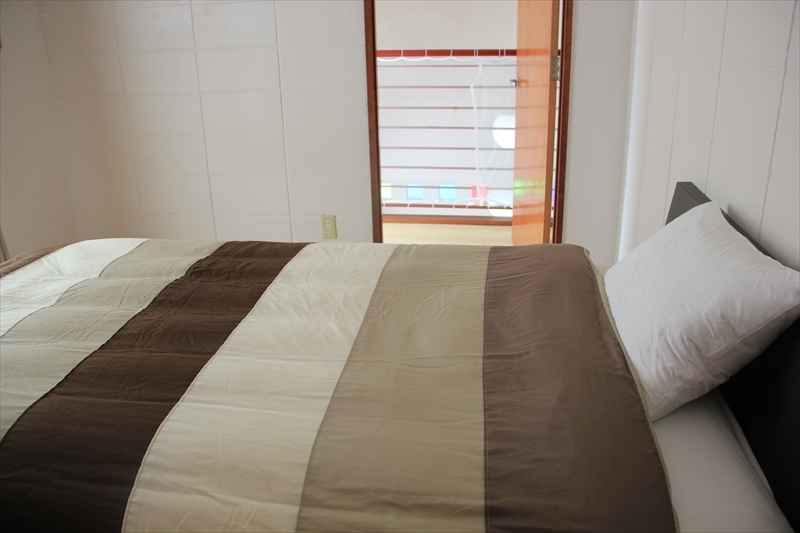 3rd and 4th floors accommodations can be rented separately or as one. Both accommodations in total can accommodate maximum of 10 person. 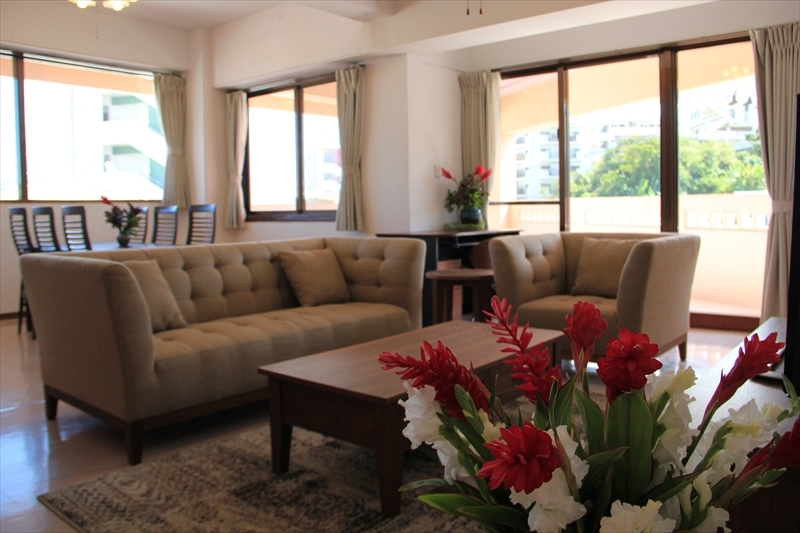 Why we recommend this facility: Attractive and spacious American style apartment and maisonette. Owner is also living on the 2nd floor of same building. Stylish interior made by flower farmer owner, decorates all interior with local flowers that he grows by himself. 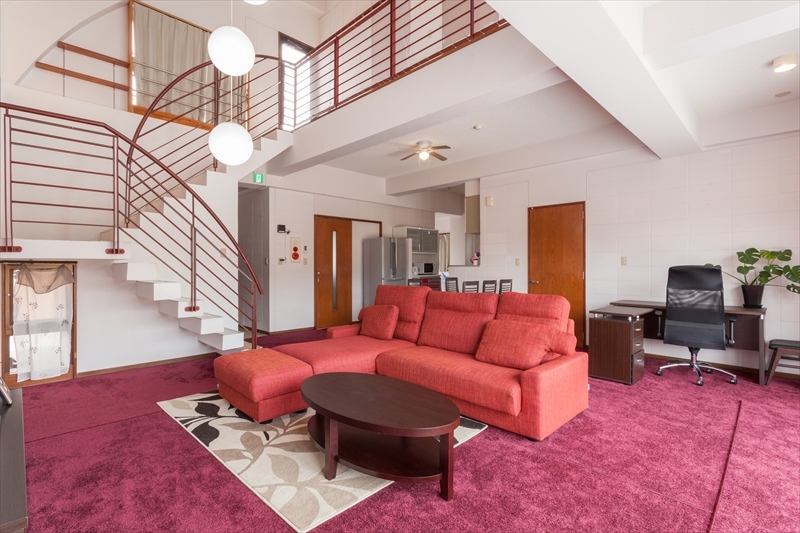 Easy access of only 20 minutes’ drive from Okinawa expressway Kitanaka Gusuku exit, close to Awase town center and 10 minutes’ drive to prefectural sport complex. 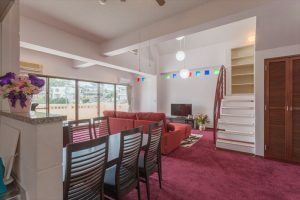 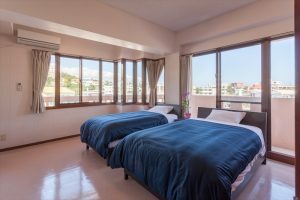 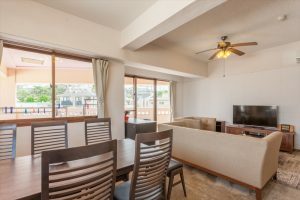 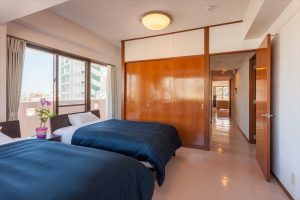 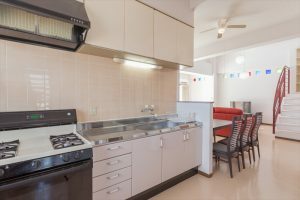 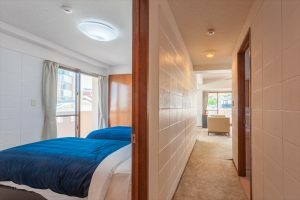 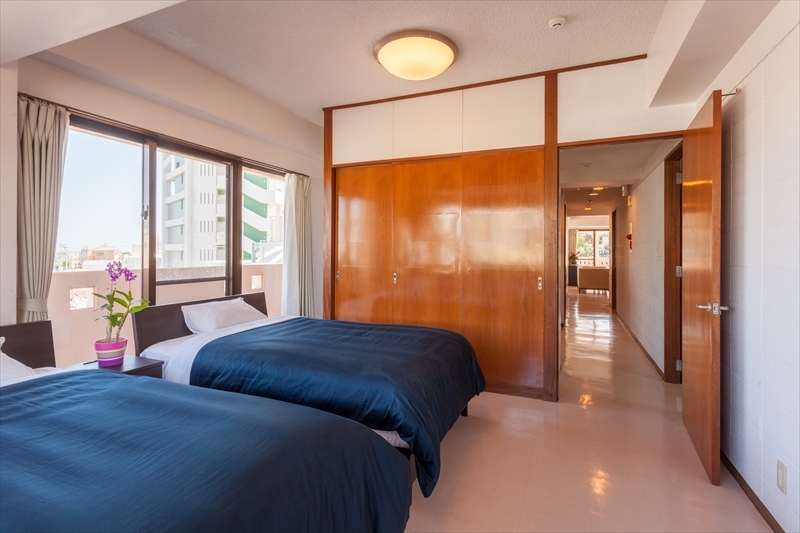 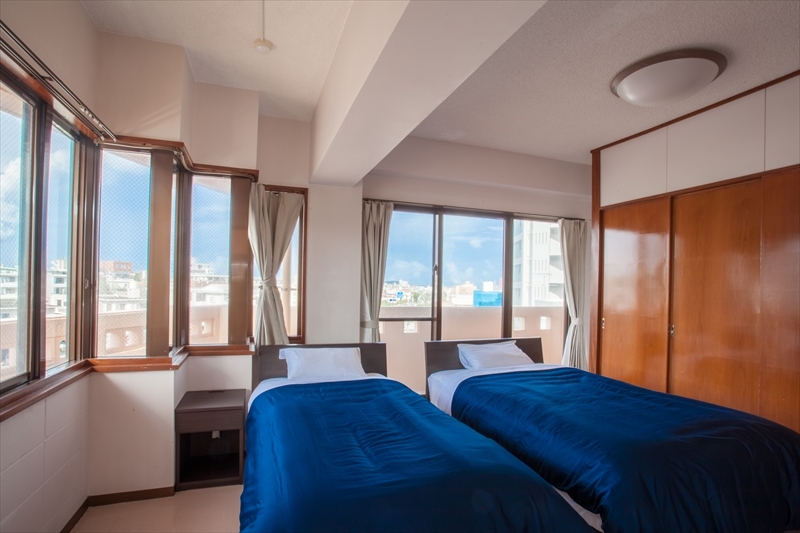 With all these fabulous facilities around and the accommodation itself, sure you will have a great vacation with us at "Kariyushi Condominium Resort Okinawa Mezon Max". 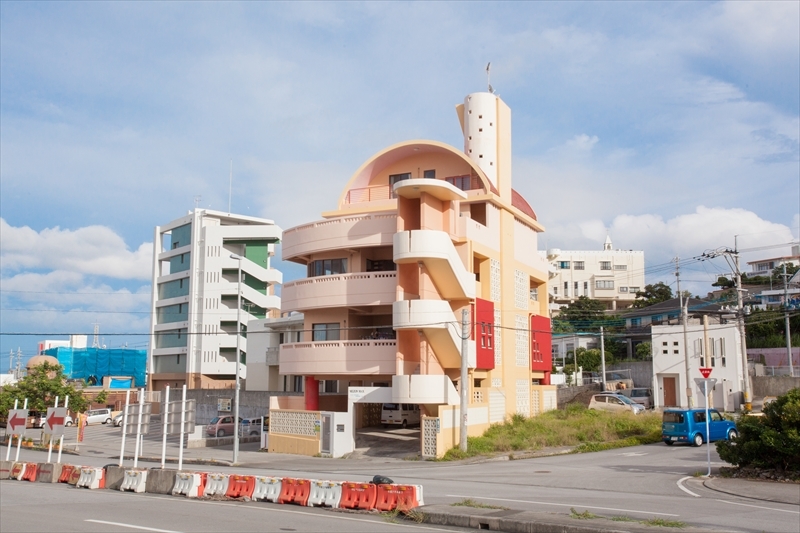 [4 F masionette style] Masionette building in half circle shape and colorful Ryukyu glasses crafted in wall is giving it a unique appearance from out-side and in-side. 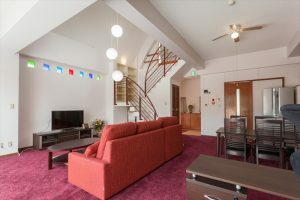 Living room with 8 m tall ceiling will allow daylight to penetrate deeper into the building and make bright living room. Separated entrance, kitchen, living and dining room, guest room, and two single bedrooms.